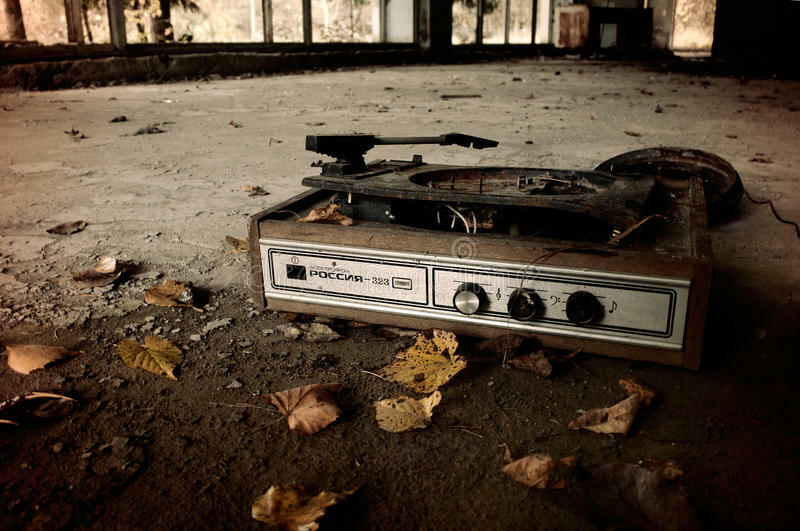 "Record players have made a comeback over the past decade. Some of the credit probably goes to the hipster trend toward retro everything, but music lovers often claim records just sound better than digital music. I played my part in boosting record player sales after finding my mom’s old record collection in my parents’ house. The collection itself was not particularly exciting, but the possibility of listening to the exact records she had played as a teenager felt like some sort of time travel. So we bought a record player. I distinctly remember playing The Beatles’ Sgt. Pepper’s Lonely Hearts Club Band. I had dutifully met the college student stereotype of blasting The Beatles on a regular basis, so I had heard those songs a hundred times. But when the cacophony at the end of “A Day in the Life” came on, it was not the one I had heard before. It sounded much deeper and fuller, like there were new noises in it. I was skeptical of the claim that vinyl sounded better, so I was surprised to be hearing a difference. Being a scientific-minded person, I’m not exactly swayed by one data point, but the experience did pique my curiosity. So what’s the deal with the vinyl phenomenon? Is it really possible that records just inherently make a fuller sound? To have any hope of answering these questions, we have to start with something more basic: What is sound and how do we hear it?" Read the rest over at The Atlantic. 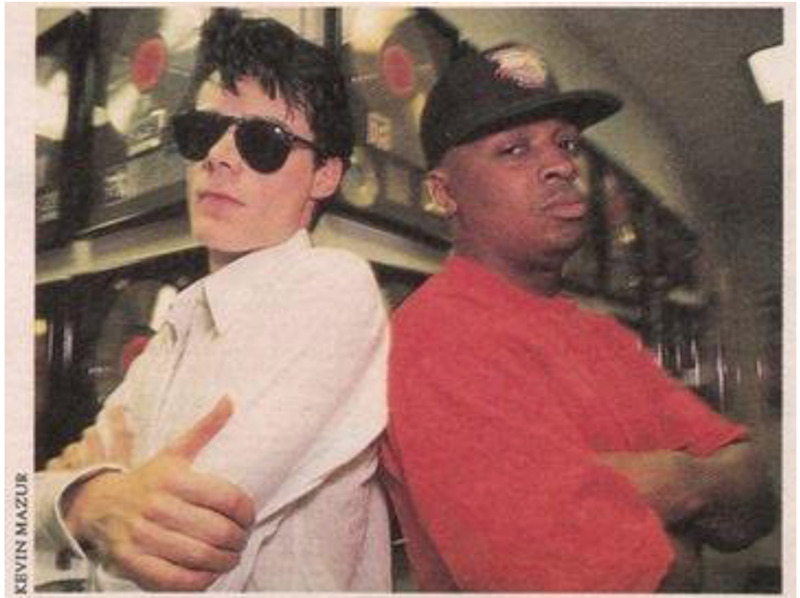 When Public Enemy Toured With The Sisters Of Mercy. Really. "Perhaps ill advised or way ahead of it’s time—given that Death Grips toured with Ministry recently, Sisters of Mercy frontman Andrew Eldritch made his vision thing a reality by enlisting Hip Hop legends Public Enemy to go on tour together, along with post-punk legends Gang Of Four, hard rock band Warrior Soul, and rap group Young Black Teenagers for 1991’s “The Tune In, Turn On, Burn Out” tour. This combination was most likely inspired by the fact that Public Enemy’s third studio album Fear of A Black Planet released the previous year bore a similar name to The Sisters’s 1985 First And Last And Always track Black Planet." The four groups play in jarringly different styles-gothic rock, rap, alternative guitar funk and hard rock-but all resist the mainstream. The Sisters of Mercy wallows in the horror and illogic of the world while Public Enemy tries to make sense of it and shake things up. Gang of Four is alienated by society, while Warrior Soul wants to dismiss it with contempt. The result was a fascinating cultural event and a frustrating concert in which the groups` disparities became more apparent than any shared bond." Neil Young's Pono Is Dead. Long Live Neil Young. And Pono. Neil Young's Pono music player/hi-rez service is dead. Young blames the labels. We blame Gizmodo. What Is The Biggest BS In HI-End Audio? We at Noho Sound love music, so of course we love anything that makes music sound better. What do we hate? BS. And there's no BS like the BS being shoveled in h-end audio reviews. All of us have been Stereophile fans and readers for years, but the latest issue contains something that is seriously nuts. And this is coming from a bunch of true believers. WTF is going on here? Even if you believe cables can make a difference — and we do — none of us have ever seen or heard anything suggesting that "bending" your cables resets a mystery clock on how electrical signals pass through them, and that your sound will suffer as a result. There are lot of serious people doing real work engineering the best possible hardware and software intended to reproduce music at the highest possible levels, at all price points. We carry many of those brands. But we will never sell anything we don't believe in, and can't demonstrate. Advice: Buy what you hear, not what someone claims. Bel Canto is great brand we don't carry. Stereophile is a great publication. Stereophile's review is positive. But hi-end audio as a hobby doesn't benefit when unserious claims about "cable bending" are buried in an otherwise serious review. If anyone can prove us wrong about this, please tell us in the comments or reach out to us so we can try to reproduce this. What is the craziest claim you've ever heard in audio, especially hi-end audio? Is This The Craziest Marital Fight Video Of All Time? They say love is never hurting someone where they are most vulnerable. This video excerpt depicts the worst case scenario; two people striking each other where it hurts the most. Watch to the end for the coup de grace. We at Noho Sound recommend a softer approach to resolving marital differences. For example, the traditional IKEA vase or Muji T-shirt are easily replaceable after making up, Couture and tube amplifiers are not. Have you seen or heard of a marital spat more vengeful than this? McIntosh is the Leica of audio, and their all-new MA252 Hybrid Integrated Amplifier is their breakthrough product. The MA252 retails for $3499, but looks and sounds like $10,000. Why? Because it’s got tubes, and tubes sound better. Also, like all Mac, it weighs a ton, so you can use it for home defense. If the average brick is 2 pounds, the MA252 is equivalent to 14 bricks of ammunition. You could take down a flock of birds with it if you had a big enough catapult. Burglars may want that sound quality, but they’re going to pay in blood. It will outlive you and your kids. If you get divorced, your spouse will want it. You'll want to look at it even when it's not playing. You want to look at it even when it's off. It's not wimpy like those plastic little amplifiers for babies. It will literally stop bullets. Your kids will want you to put it in your will. Your neighbors will be jealous. It will outlive you and your kids. Specs? The tubes glow green, and there are four of them. Which is awesome even though the light has no effect on the sound. Also, it puts out 100 watts/channel and comes with a remote control and a phono stage, so you can connect a turntable directly to it. In a world where nothing is built to last and almost everything at any price is mass-market junk, McIntosh is one of the last honest companies making things that are real. Built to last. Designed in America. Made in America. Sold in downtown New York City exclusively at Noho Sound & Stereo. Come by to hear it. Bring friends. We'll take care of the drinks. How To Clean Your Records For Free. Almost. I'm not saying this is the best way to clean your records. I'm not even saying this is a good way to clean your records. But is IS a way to clean your records, if you're really, really, really, really careful. Do you think you care about audio? You don't. At least not compared to these Japanese audiophiles. AudioMatters, one of our favorite under-appreciated audiophile blogs, was kind enough to unearth this gem. Do you know someone who is ever more serious about their audio system than these guys? If so, please tell us in the comments. I recently heard that Urban Outfitters is the largest seller of vinyl records in America. Sadly, it also sells turntables that aren't very good for your records. The proof? This amazing thread over on Reddit detailing exactly why you shouldn't place your valuable records on suboptimal turntables. The list of offenders is crazy. Playing vinyl records is a great hobby. It's easy to get started and you don't need to spend a fortune to do so. However, like any hobby, there is both good and bad products out there at both ends of the price/performance spectrum. In general, a record player or turntable needs to do three basic separate, interrelated jobs to successfully play a vinyl record. Some players perform these three jobs better than others and cost much more for the commensurate research, development, and precision manufacturing costs that went into producing them. Job #1 Provide a stable, extremely flat, non resonant platform for the record to rest on. Job #2 Turn the platform and record precisely at the correct speed. Job #3 Position a stylus and transducer above a revolving groove, allow the stylus to follow the grove and faithfully reproduce the vibrations encoded within. As one moves up the record player/turntable food chain, more of the build budget gets dedicated to improvements that affect audio quality either directly or indirectly. 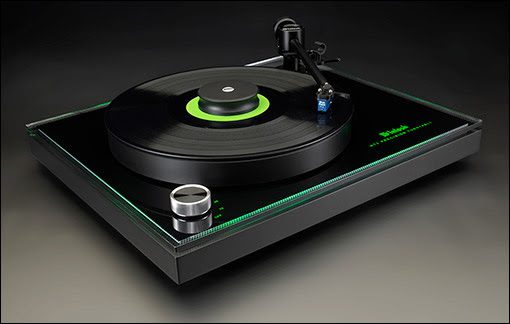 Most mass-market turntables are made by three OEM factories: Hanpin, Skywin, and Leetac. They all make a low quality, non upgradable, low performance, budget-friendly, entry level model with built-in speakers, a heavy tracking ceramic or moving magnet cartridge, and a barely adequate tonearm prone to promote stylus mistracking. 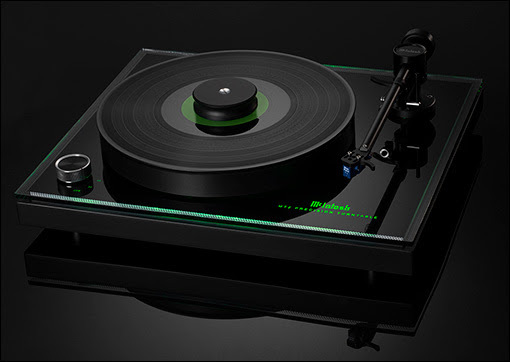 Even the more expensive mass-market turntables tend to place emphasis on convenience features such as automatic play, sometimes switchable built in phono-EQ, USB connectivity, and cosmetics, instead of design improvements that increase audio quality. • Skipping during playback of loud passages, including but not limited to heavy bass/drums, and/or loud transients due to exceeding the tracking abilites of the included stylus. • No upgrade options, nor serviceable parts that can be sourced easily other than the stylus and belt. • The included sapphire sylus on many Leetac and Skywin-manufactured players, which has a maximum lifespan of between 65 to 100 hours due to the stylus' softer material than diamond. Yes, you can upgrade to a diamond tipped stylus for increased stylus longevity, but you will still have the exact same problems as described in this list. • Heavy, inconsistently set, tracking force (Leetac and Skywin tonearms) with ceramic cartridges require vertical tracking force be set at roughly 5.0 grams but is measured anywhere from 4.0 to 10.0 grams. The Audio Technica AT3600L moving magnet cartridge, found on some Crosley models (i.e., the Collegiate) and Hanpin FU-700/R200 OEM models have measured anywhere from 4.0 to 6.0 grams. This can shorten the lifespan of the stylus, specifically the tip, cantilever, and suspension, but also accelerate groove damage to the records. Note that the AT3600L moving magnet's stylus has a recommended tracking force between 2.5 to 3.5 grams. • Non-adjustable or fixed counterweight that severely limits cartridge and stylus selection (usually to just one). • Shorter tonearms also experience higher levels of tracing error, where the stylus is not perfectly parallel to the groove, causing audible distortions The short tonearm also further contributes inner groove distortion, where groove speed is the slowest and tracking is most difficult. IGD is audible distortion that affects the midrange and treble frequencies during playback at the most inner grooves near the center label. Is This The Best Cover of A-ha's "Take On Me" Of All Time? Is this the best cover of A-ha's "Take On Me" of all time? That depends on how many covers of it you've heard. We're big fans of covers, at least co-founder Alex Roy is, so we've done the heavy lifting for you and found some more of them, ranging from jazzy to metal. How about a very 80's-style metal cover by a very Nordic metal band called Northern Kings? Is The Focal Kanta No. 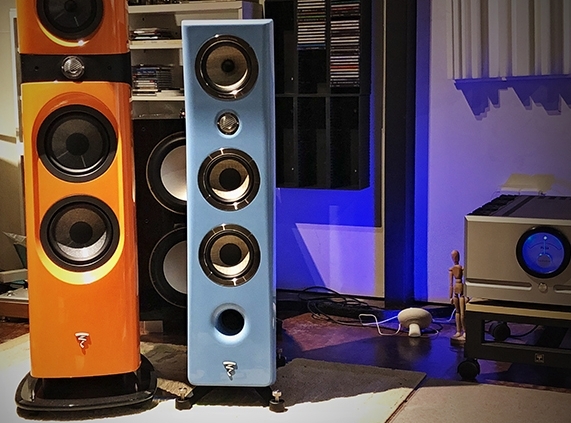 2 The World's Best $10,000 Loudspeaker? The Focal Kanta No.2's have been among our favorite speakers at Noho Sound since we received the very first pair in the world shipped to a dealer nearly two months ago. Some call it the world's best $10,000 speaker. "One of the most impressive things about Focal, is that their speakers all have a similar voice and tonality, but as you go up the range, progressively more music is revealed in terms of dynamics and fine detail resolution. But not everyone can afford $60k for a pair of Maestros or $20k for Sopras. $10k for a set of Kantas isn’t inexpensive, but by the time you add an amp, source and cables, marvelous sound can still be achieved for way less than a decent sportbike. Think of all the money you’ll save on speeding tickets! If you’ve read this far, you know I’m a big Focal fan, and the new Kanta exceeds all expectation. They combine sound and build quality with fantastic dealer service and support, world wide. If you’ve enjoyed the sound of the bigger Focal speakers, but desire these sonic attributes in a slightly smaller package, the Kanta is for you." Read the rest of the review over at Tone. Want to hear them in NYC? Call or email us for an appointment. Bring friends and decide for yourself. We'll even stay open late, and provide the drinks. Who Is The Best Subway Performer Who Should Be Playing At Noho Sound? What is the best subway musical performance of all time? We're located in lower Manhattan, which means not only do we get to take a lot of subway rides, we get to take a lot of different subway lines. If you're headed to midtown, there are at least four different trains one can take. Which means on any given day, one can hear five different musical performances. Sometimes we come across something crazy. The performer is Slim Freedom, and totally deserves as much love as possible. Who is the best performer who deserves to move from the subway to Noho Sound? Please let is know in the comments. VIDEO: Do Audiophiles Like Music? Or Are They In Love With The Equipment? "It turns out the audiophiles were right. Despite decades of pundits predicting its demise, analog audio has made a big comeback in recent years, with vinyl records, reel-to-reel tapes, and even cassette tapes gaining interest in the mass market. At the high end, this has led to more interest in limited physical album releases—often produced with painstaking care using esoteric methods—and high price tags. Enthusiasts are spending hundreds on single albums in pursuit of sonic perfection and the chance to own something truly special. One of the primary drivers behind this is sound quality. Despite vinyl’s imperfections, many discerning listeners prefer the warmth, presence, and emotion communicated through a record—qualities that are simply missing from digital reproduction. 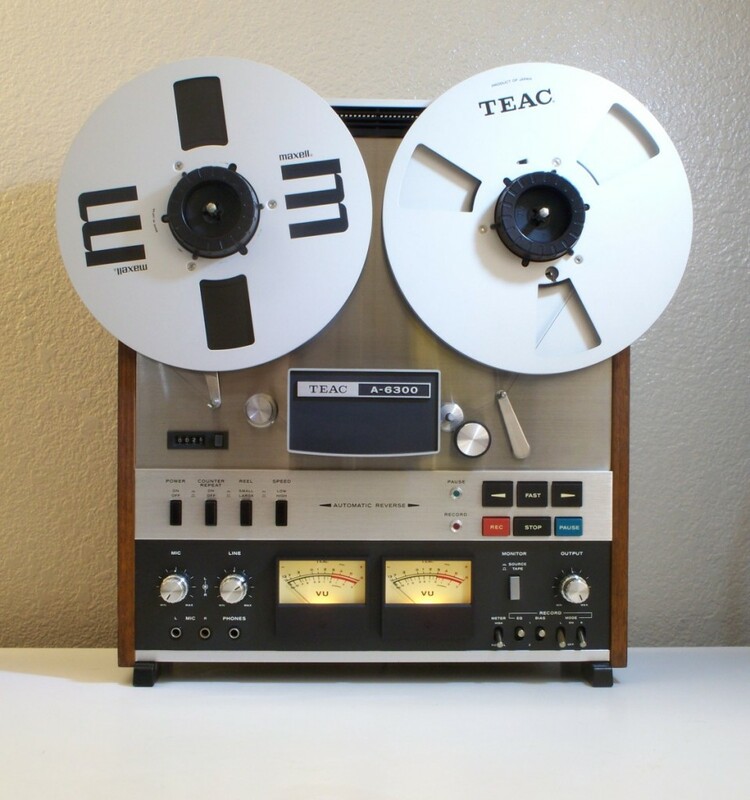 In some cases, however, it can be challenging to collect recordings of vintage performances in good condition, so some modern vinyl reissues are mastered from inferior digital sources rather than the analog master tape." "I had to listen to the test pressing of my finished album the other day. This is when you check what the vinyl version will sound like, so you sit very quietly in front of your speakers and, ignoring the songs completely, take note of the overall sound quality and strain your ears to listen out for any excessive surface noise, any unwanted pops or crackles. And, this being vinyl, there are occasional pops and crackles. But are they unwanted? Ah, that’s the question." "Vinyl has had a revival, you will have read. And part of me can’t help feeling that it’s really the pops and crackles that have made a comeback, securing their place in people’s hearts as some kind of badge of authenticity. The clunk of the needle dropping. The faint hiss before the first song begins. Sounds that, if you’re the right age, whirl you back in time to those first records you owned." Read the rest of her piece here. Alex Roy, co-Founder of Noho Sound, Editor-at-Large for The Drive and author of The Driver, has set numerous endurance driving records, including the infamous Cannonball Run record. You can follow him on Facebook, Twitter and Instagram.